WPCurve is a WordPress maintenance platform which promises 24/7 support by giving users access to WordPress developers all around the world. Users simply send in their issue via email, it’s sent to the applicable developer, and the issue is fixed. Very cool, actually. 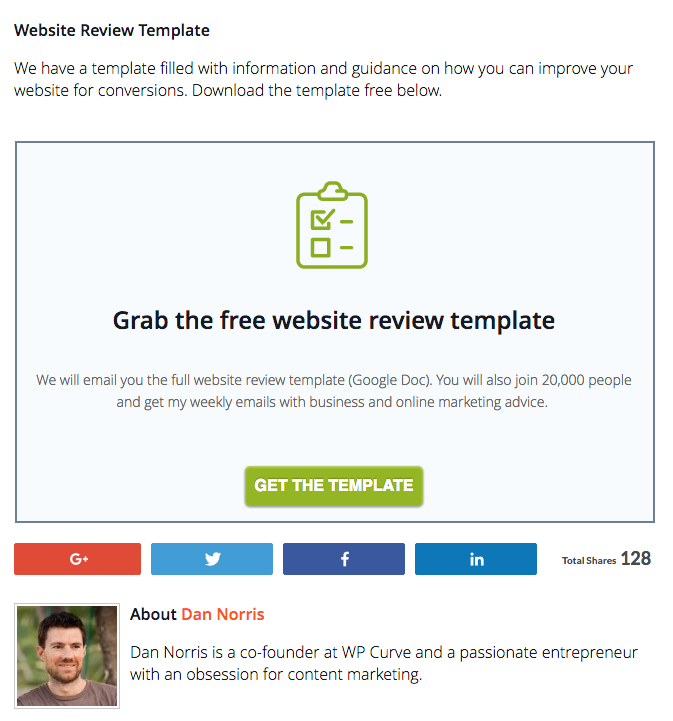 The top lead generation strategy on the WPCurve website is that oh-so-pleasing design scheme consistency in that last example there. 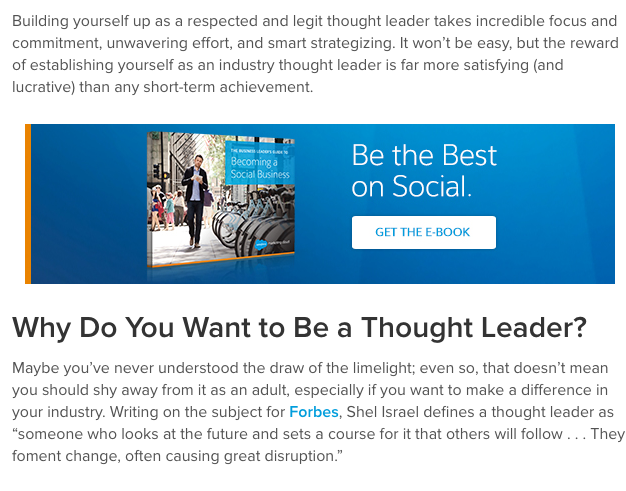 I love when things come together like that – a scrolling sidebar CTA next to the bottom-of-blog CTA – both looking clean, sharp and (more importantly) like a professional organization was behind them. 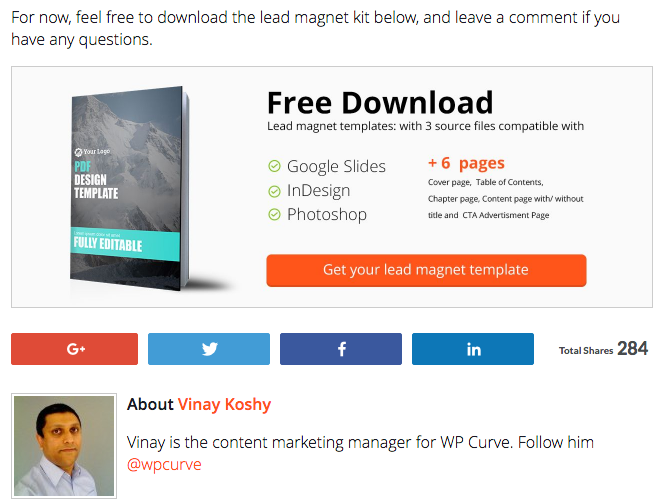 [I recommend] Lead magnets that are specific to the blog post that they appear on. Or focus on building trust by having great design and not being aggressive with pop ups and other tools that erode trust. 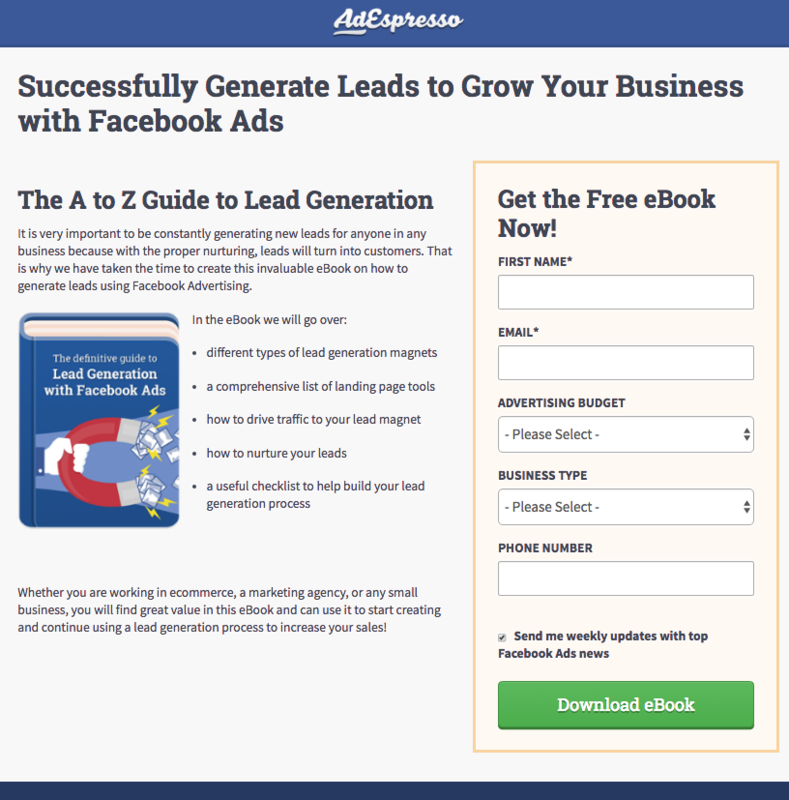 AdEspresso is the leading Facebook Ad optimization and management tool. The platform allows you to A/B test your ads, save audiences (and images), and gives you an impressive array of feedback and analytics, allowing you to focus on the metrics which count. Anyone who knows AdEspresso knows that they’re just about the prettiest blog out there. Whatever team of graphic design elves they have chained to desks is doing an amazing job. Each of their lead generation tools is on-brand, bright, sunny and, more importantly, optimized. 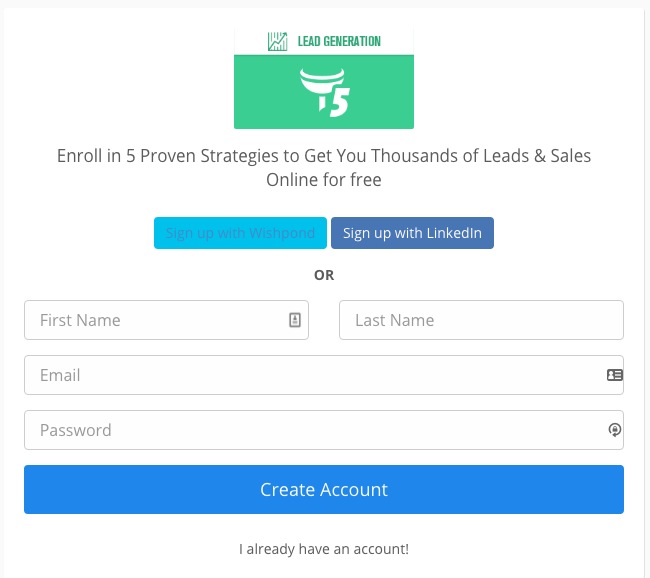 I actually left out a few of their lead generation strategies as well. They have an awesome “Are Facebook Ads Right for You?” gated questionnaire, which is excellent as well. But just check out their designs and invest in creating something similar. Writtent is a content marketing agency which allows businesses to outsource their blogging needs. They charge by the hundred words, and make it possible for small businesses to get the most out of inbound marketing without having to hire someone for in-house. 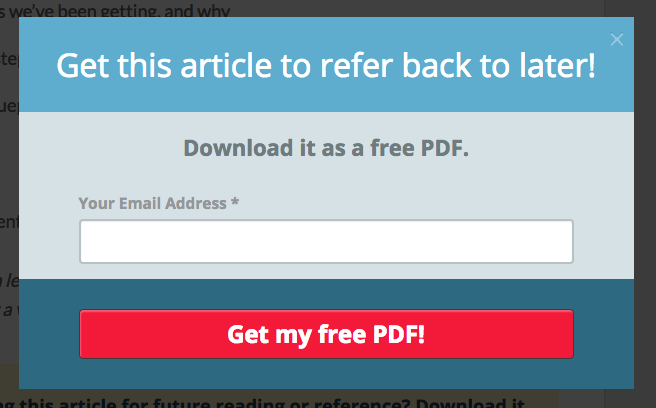 Writtent’s exit popup is intelligently done, actually. 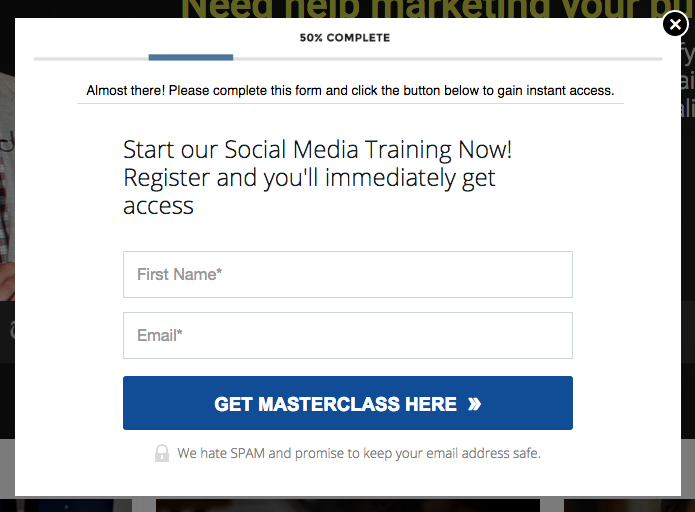 It’s more of a timed exit popup – as it will only appear-upon-exit if you’ve been on the page for longer than a 30 seconds or so. 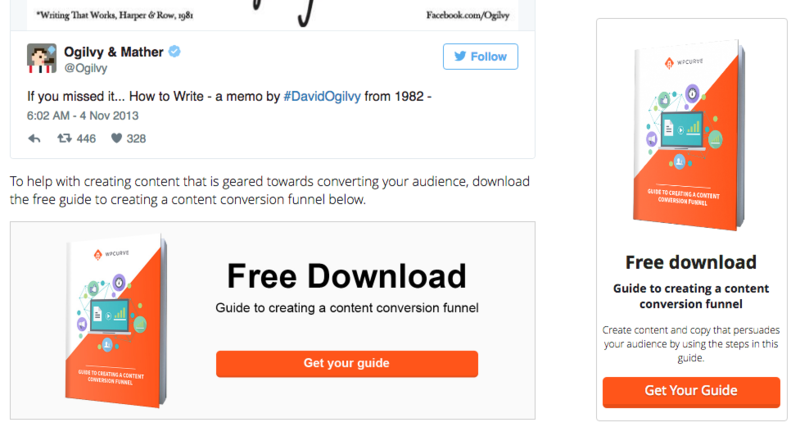 I also like that it’s a three-part conversion process (what we call a multi-step popup). Click the “download” CTA and the form shows (not before). Convert and you’ll get the thank you slide. All within the one popup. 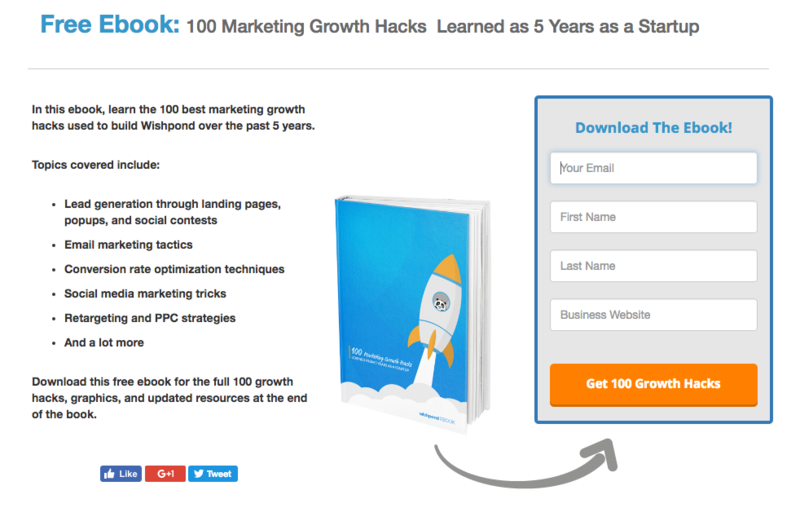 Wishpond has seen 100% conversion rate increases for on-page popups compared to landing pages which open on a new tab. Mixergy is a marketing consultancy started Andrew Warner to help “ambitious people who love business as much as I do learn from a mix of experienced mentors.” The site is based around a series of digital marketing-related podcasts and courses with business founders who tell their stories and offer solutions to entrepreneurs. The first time you visit the Mixergy website, you’ll see that top image above – the “first visit” overlay. The second time, you’ll get a far more content-focused page with a search function and dropdown. You’ll see recent interviews and courses. I love a site which showcases what’s possible with today’s marketing technology. 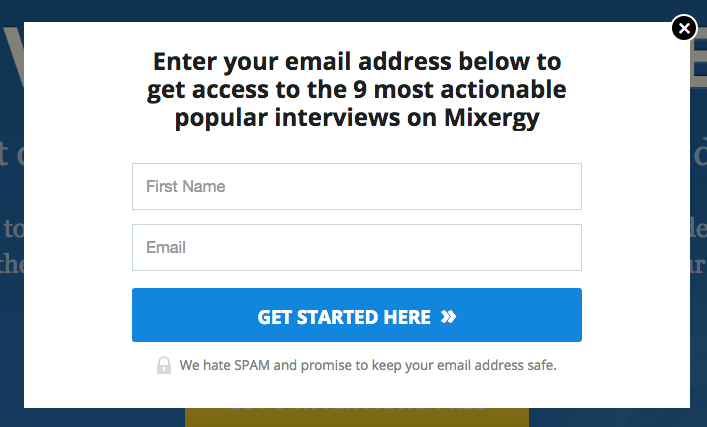 Mixergy’s site knows when you’re a first-time visitor and when you’re returning. If you’re returning, it’s just going to give value. If you’re a first-time visitor, you get a bit of a pitch. While I like this idea, I’d be really interested to see how it would perform if it was reversed: Give value the first (or even second) time someone visits. 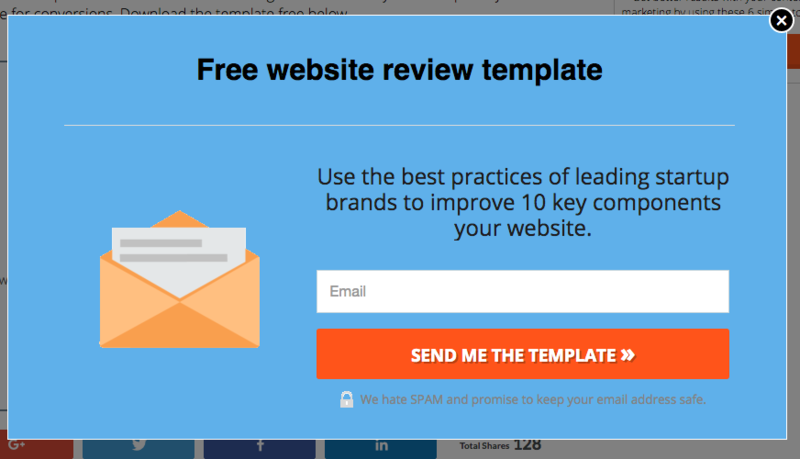 Then give the gated content pitch on their third visit once they’ve seen the value. 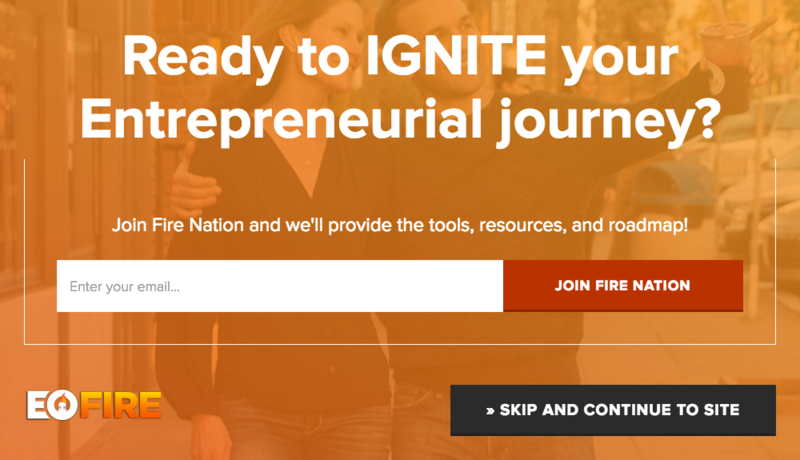 EOFire (Entrepreneur on Fire) is a business podcast focused on inspiring entrepreneurs to business success. Host John Lee Dumas interviews some of the biggest names 7 days a week. The headline on the first entry popup is fantastic. 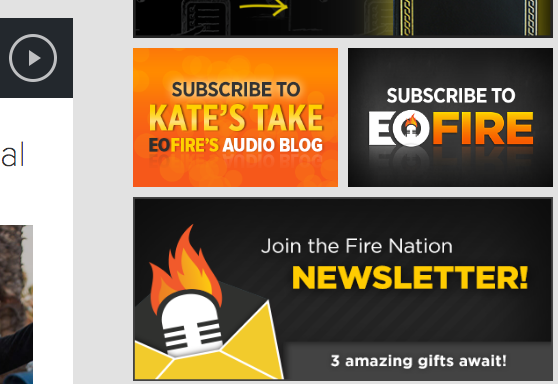 It asks a question that entrepreneurs everywhere are asking themselves every day – “What would the most successful marketers and business-owners out there do if they were in my shoes?” And the EOFire podcast answers that question. 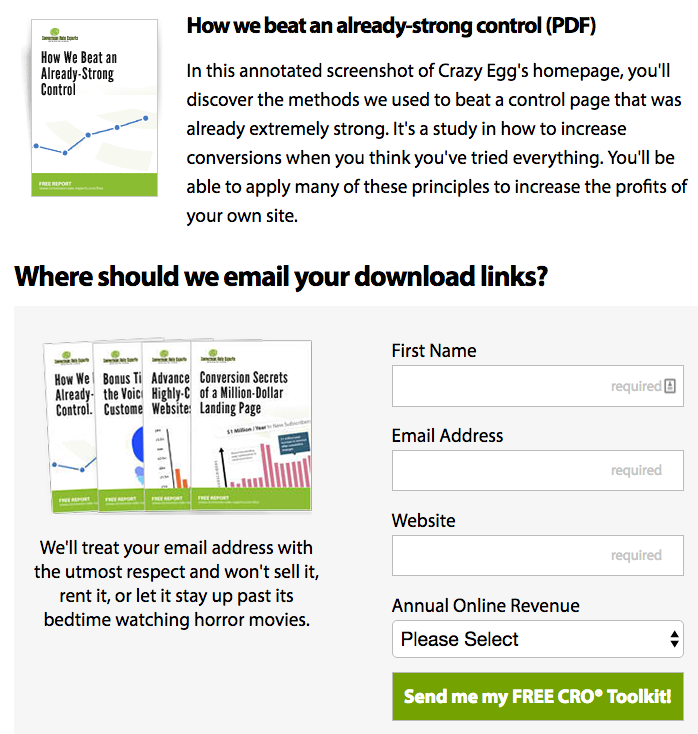 I’d love to see the A/B test results (I saw the second by going incognito and returning to the site). I like the idea of dedicating a tab of your website and nav bar to lead generation. It puts the value proposition and message front and center, unavoidable. 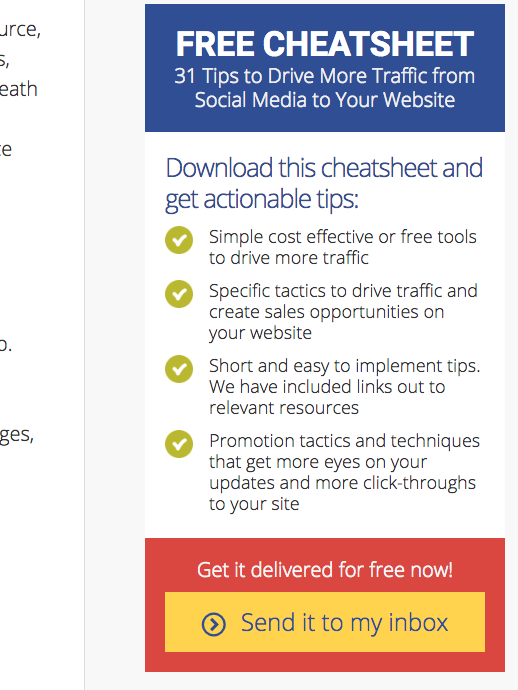 I’m also a big fan of the size and amount of white-space within Marie’s lead generation tools. Her headlines and messages are large, her headshot front and center. Matthew Woodward has a very distinct website design. 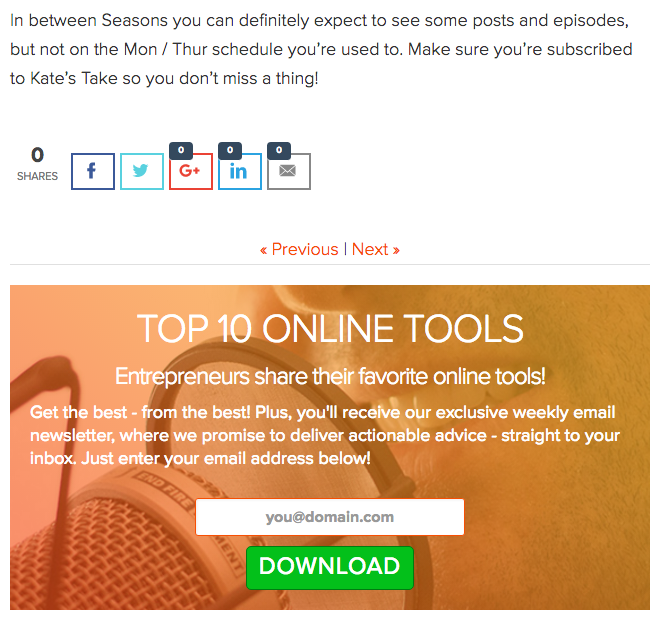 His blog headers use some of the brightest colors I’ve seen in online marketing. 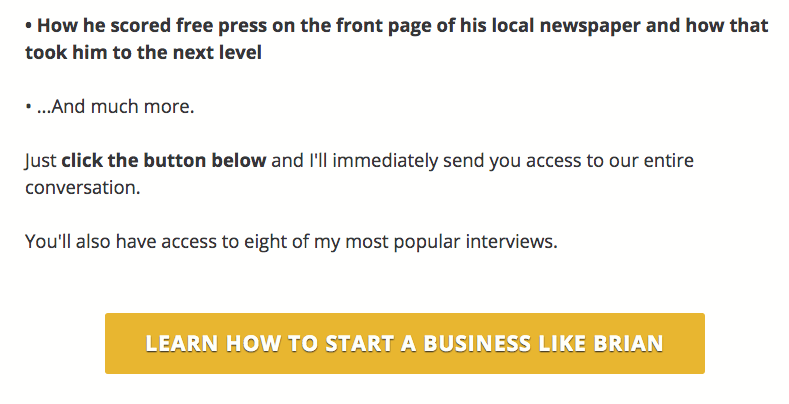 His lead generation strategy is no different. 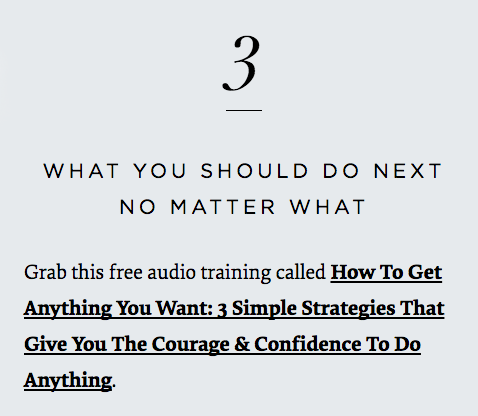 Everything about this guy is upfront – he’s using two massive entry popups on his blog and his homepage with different color schemes. It’s aggressive, but it’s clearly working for him. Just goes to show… so long as you test everything, anything goes. 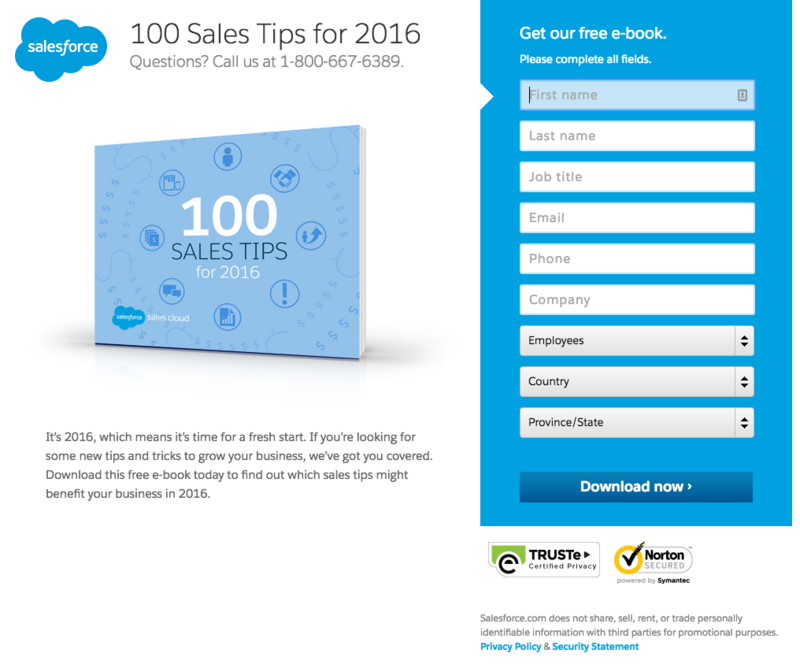 Salesforce is the #1 Customer Relationship Management Tool in the world. 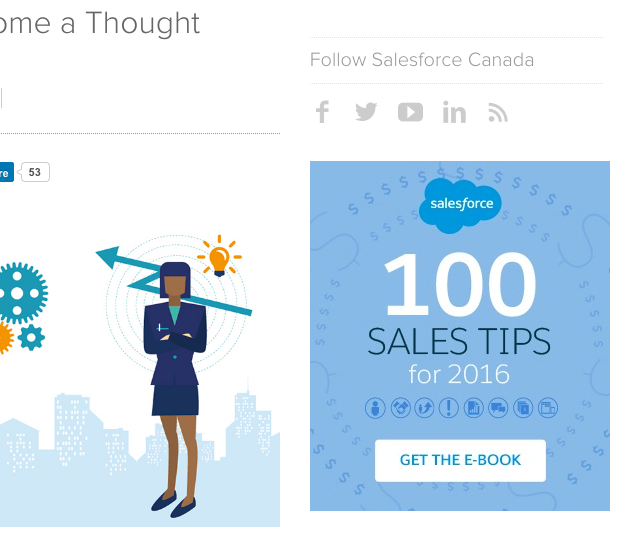 Couple things here: I really like the top and bottom gated content CTAs on the Salesforce blog articles – it appeals to both the people who don’t have time to read and want to download, as well as the people who have read the entire thing and want to save it for further reference. BarkBox is a delivery service which selects all-natural treats and toys and brings them to your door each month. Packages cater to a dog’s allergies, unique needs (age, size, etc) and more. If you want to spoil your dog with more than a pair of slippers you don’t wear any more. BarkBox is the way to do it. They’re also the absolute kings of dog-related puns. 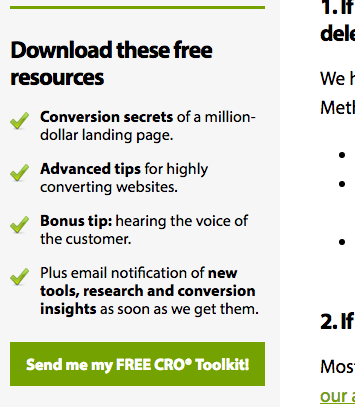 Barkbox’s lead generation strategy is pretty subtle, focused on an omni-present subscription scroll bar. 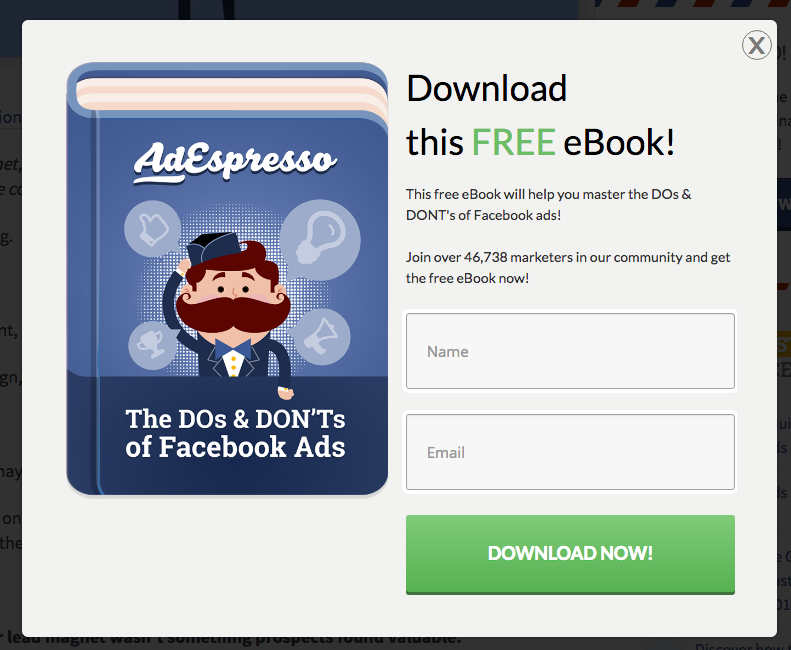 I like this though, they have CTAs everywhere but they all drive visitors towards account creation. 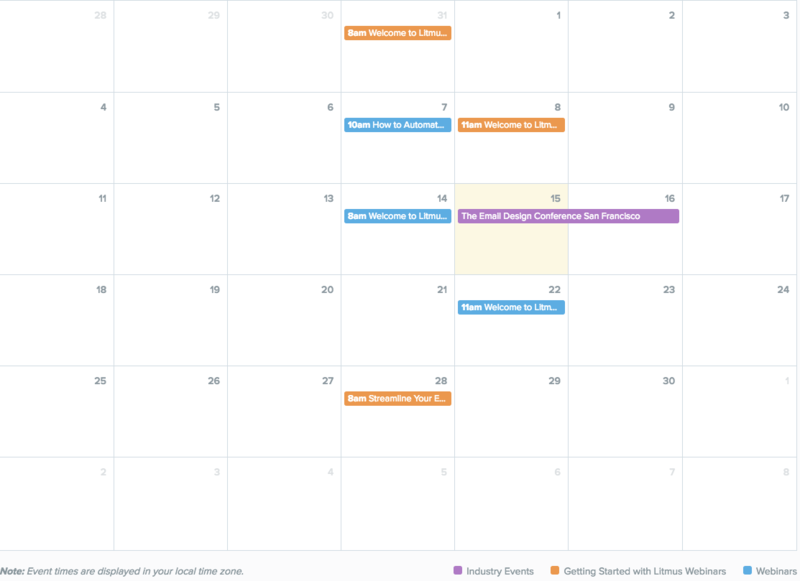 Sometimes you have to know when to push signup, and when lead gen.
For ecommerce, it’s usually a straight-forward choice: one gets you a customer, and one a prospective customer. But and it’s a big but, giving people the option of subscribing rather than signing up is hugely important. Even when it comes to B2C, not everyone’s going to be ready to buy, so give them a half-conversion option. 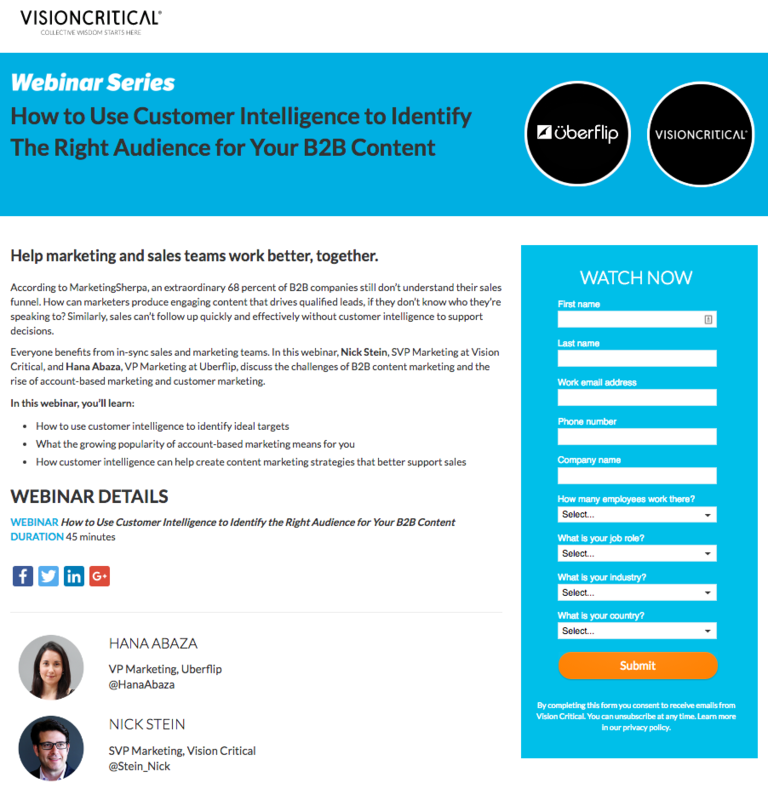 Vision Critical is an enterprise-level, cloud-based customer intelligence platform. Their focus is on delivering actionable, real-time insight into the activity, behavior and personality of customers, rather than the slow and expensive data-mining of the past. VisionCritical’s gated content page is well worth a visit. 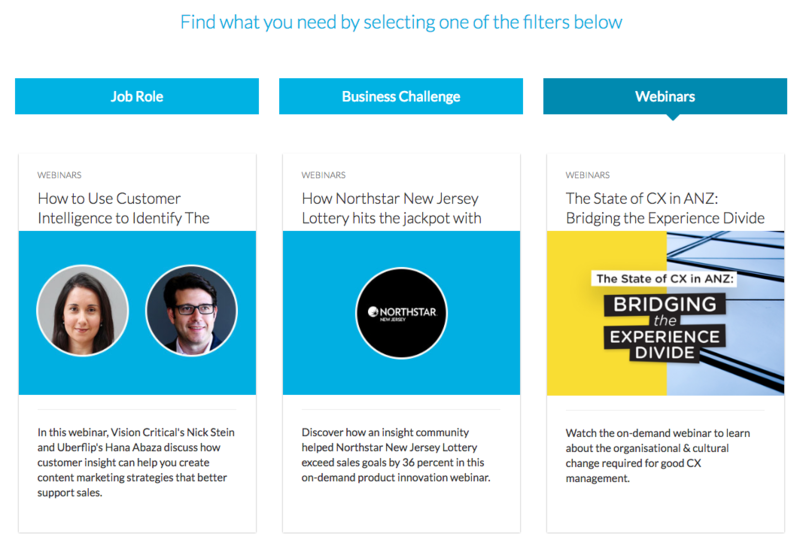 Three dropdowns allow visitors to filter gated content based on who they are, what they’re looking to achieve, and resource type (webinar, ebook, report, white paper, etc). Very impressive organization which makes finding exactly what you want a breeze – it also showcases the sheer quantity of high-quality resources VisionCritical has (which impresses site visitors and likely increases the chance of conversion). 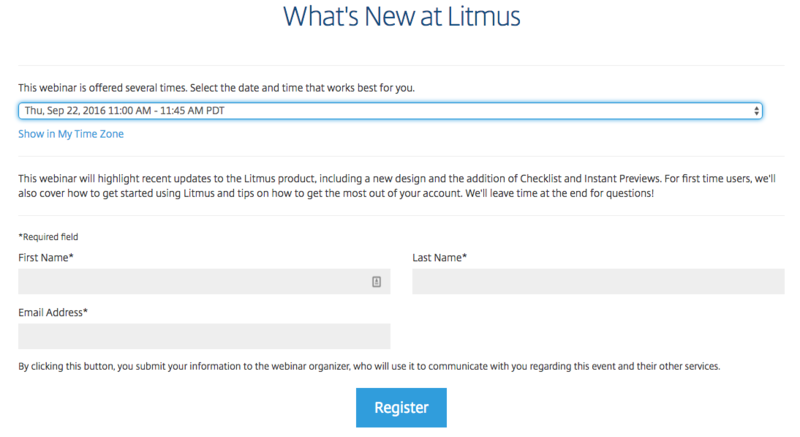 Litmus offers an email marketing platform built for people who know what they’re doing. They have the only code editor “built for email performance.” They offer mobile and 50+ email client previews. And they deliver some of the most comprehensive email analytics out there. When it comes to generating leads, it’s more important to think of them as individual people than numbers on a spreadsheet. When we diminish customers and prospects down to numbers and pipeline, we easily forget that the best thing you can do to get leads is to deliver great results, be it content, product, or service. 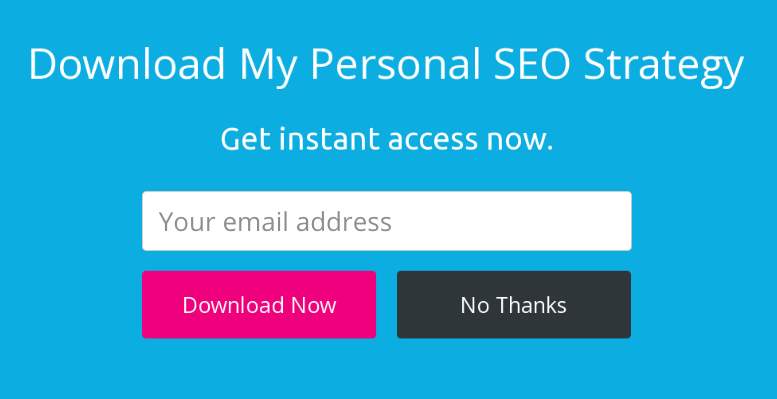 If you’re providing relevant, timely, interesting, well-written content, then I’ll gladly trade my email address for that; so will your prospects. 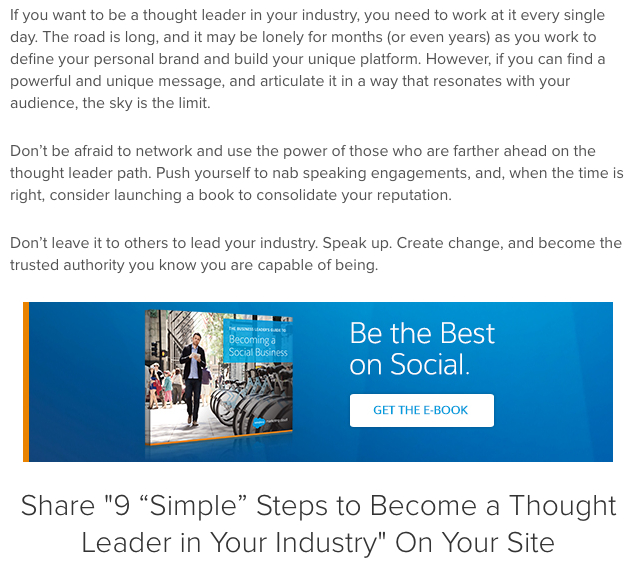 Put yourself in the shoes of your prospect—and potential subscriber—first and foremost. Understand your audience, what they care about, what information they need. How can you help them in their day-to-day? Thinking about the people on the other side of the spreadsheet or dashboard is the best way to generate content and build products that people will love—and gladly give you leads. Conversion Rate Experts (CRE) is an international consultancy that optimizes online sales funnels and marketing campaigns. They’ve worked with Apple, Amazon, Facebook, Google, Sony and more. 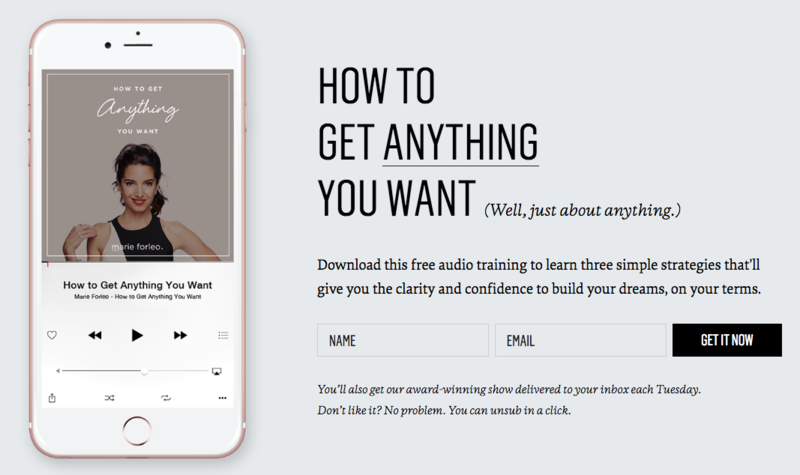 Each of the site’s gated content CTAs drive traffic to a single “Learning Zone” which tells you that when you subscribe you won’t just get “hundreds of genuinely useful tips” but also four valuable PDF resources. 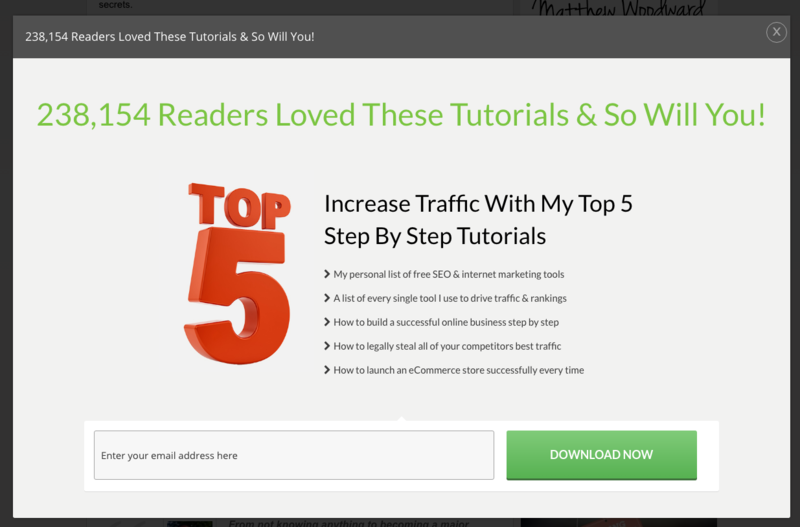 What I like about this is that if someone’s interested in any of those five resources (including the newsletter list), they get all five for the price of an email address. This is an influx of value, and a great way to incentivize lead generation. RazorSocial was founded by Ian Cleary, a blogger and social/digital marketer from Dublin. His blog and consultancy site focuses on finding success with an online business. He’s been named to the “Top 10 Twitter Maverick” list, ranked one of the top 40 digital strategists in the world and a top 50 content marketer. 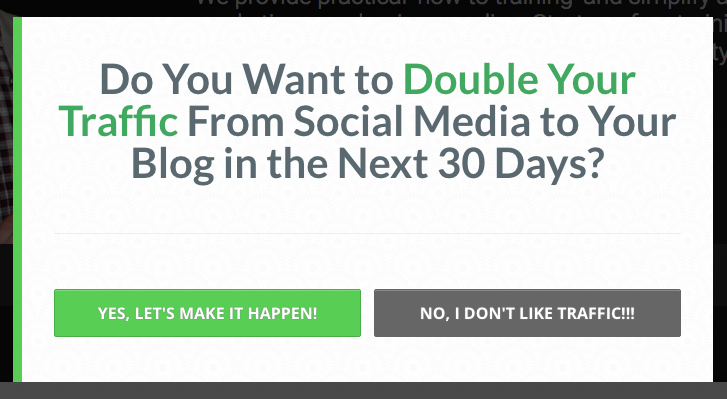 RazorSocial employs the “short-timed” popup. It’s not quite an entry popup, but not a full-length timed popup either. 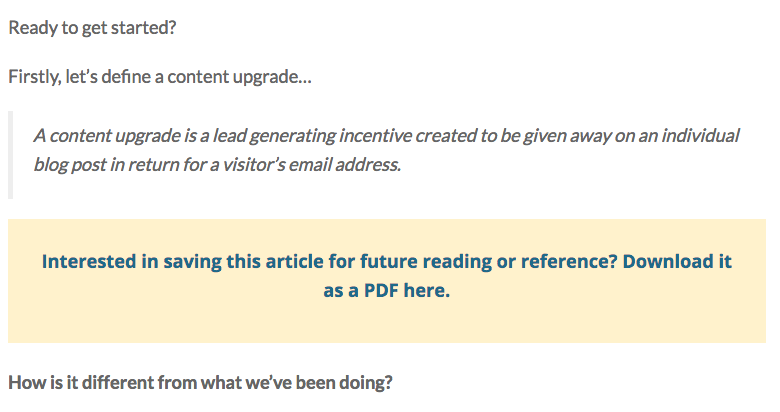 It appears (and there’s a few of these in this resource) at about five seconds – so the visitor has seen the value proposition/headline/image, but hasn’t fully scrolled the page. It’s an interesting strategy and one I’ve seen so frequently I can’t help but be intrigued. 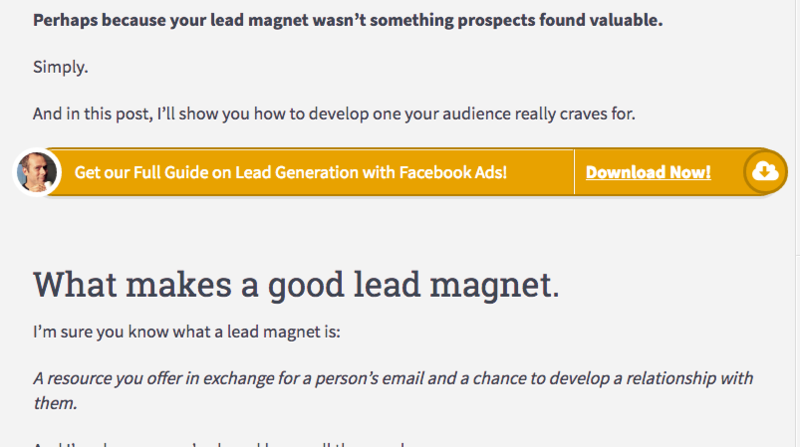 Wishpond makes it easy for your business to generate, manage and nurture your leads into sales. Our lead generation tools – popups, overlays, CTAs, landing pages and social promotions integrate with a mini-CRM and complete marketing automation platform. 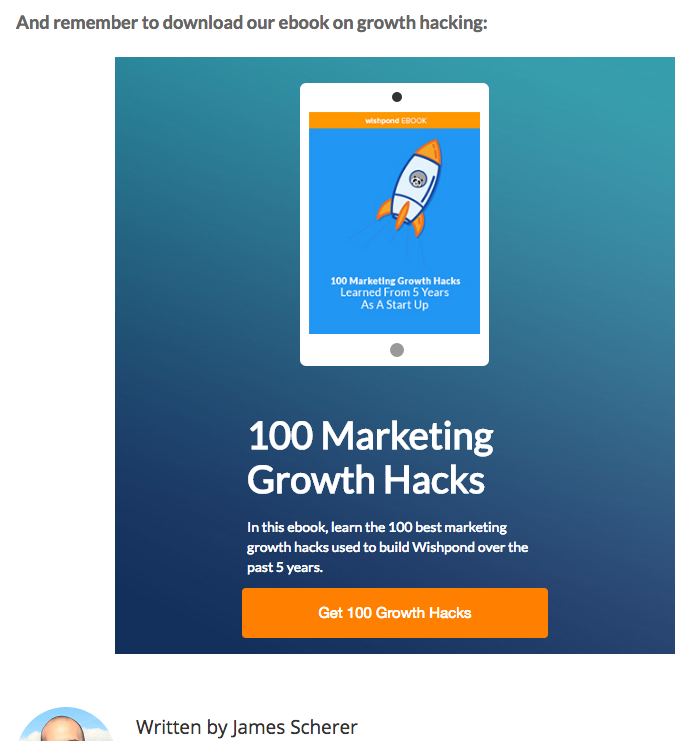 With Wishpond, you can generate leads in any of the ways you’ve seen in this article, segment them and automatically deliver lead-nurturing communication at the exact moment they’re ready for it. We’re integrated with more than 550 of your favorite platforms, so at any point along the way you can export or import lead data or lead lists with the click of a button. 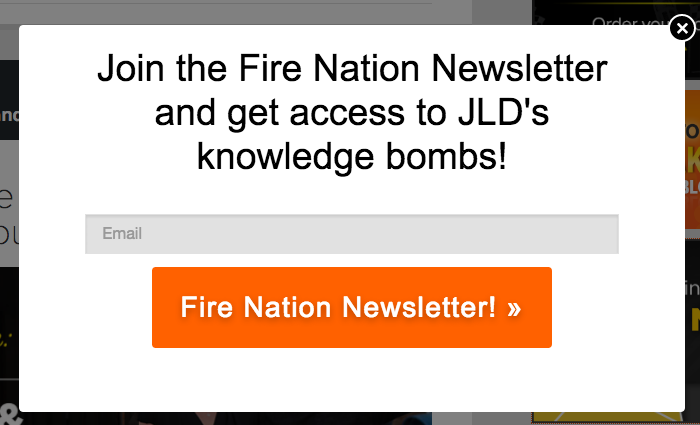 My favorite thing we’ve done recently (where we used to have a signup overlay) is determined which blog titles aren’t driving signups, and replaced the overlays on those articles with overlays promoting relevant gated content. 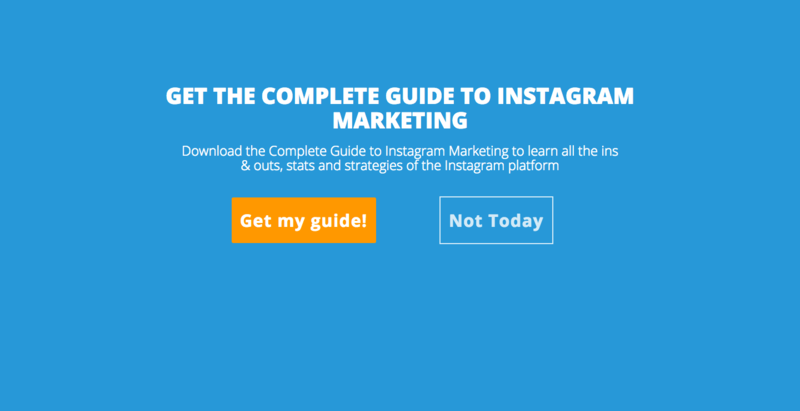 For instance, the screenshot above shows a blog overlay which exclusively shows to first-time visitors to blog URLs containing “Instagram.” It promotes Instagram-relevant gated content, and won’t appear the next time that browser comes to an Instagram-related article. And we’ve exclusively done this on those articles where the blog overlay was signing up users at a low rate. 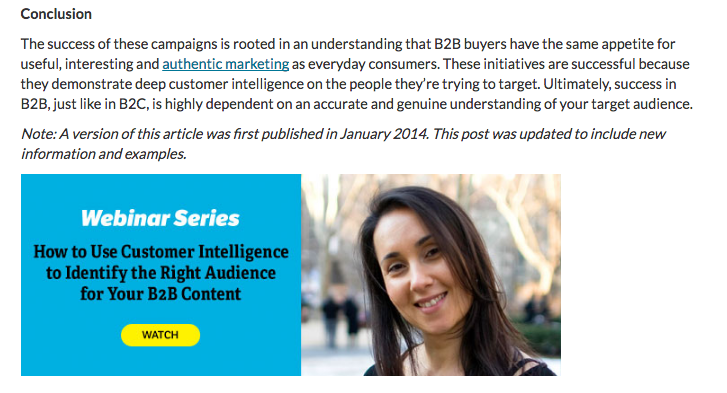 Those articles/keywords which were driving signups have kept a Wishpond-centric headline and CTA. 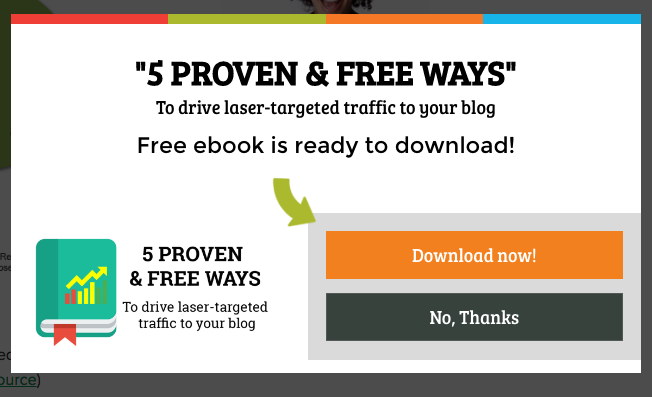 Also, the “Tracked CTA” image is cool – it’s actually a new tool we’ve released which makes it possible for you to see the views on your website’s CTAs and determine how many people are coming from each page that CTA is embedded on. 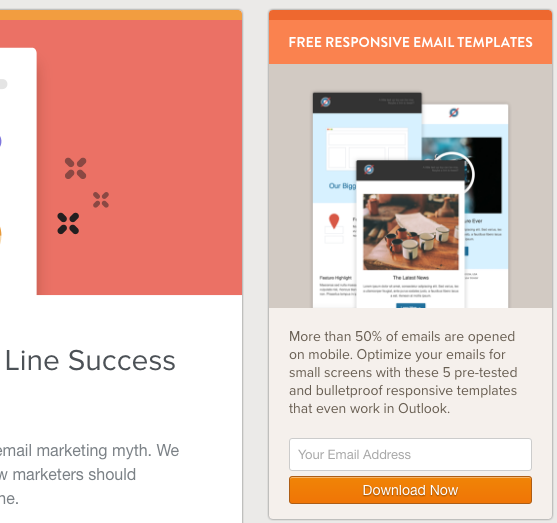 If you have a bunch of existing landing pages, tracking the source for them is essential. When I first started this resource, four hectic days ago, I thought I’d be exhausted. 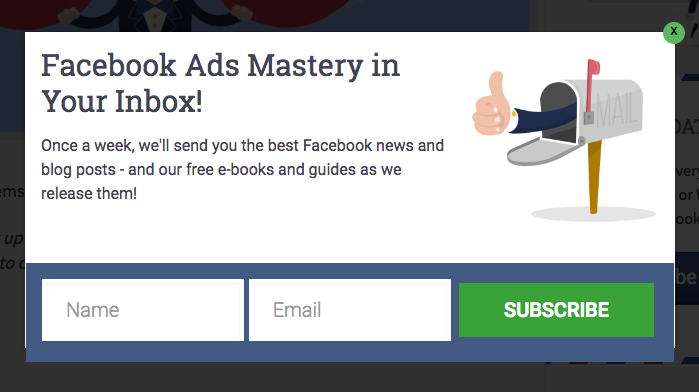 I thought I’d have had to repeat “this click popup is good because the CTA button contrasts with the backround color” a billion times. 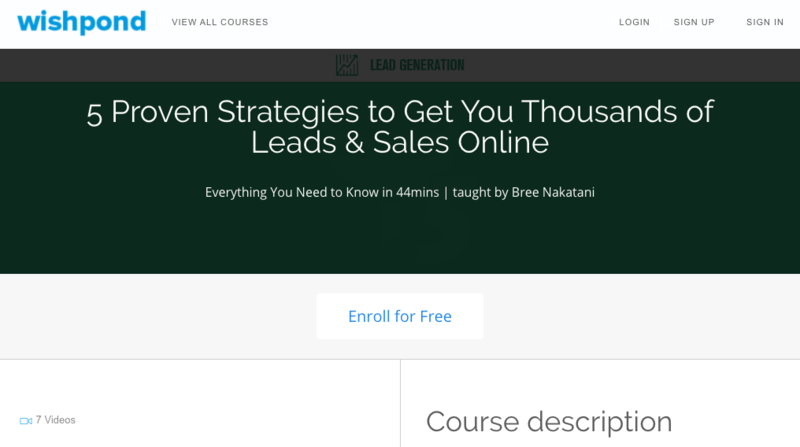 I didn’t struggle to find a “top lead generation strategy.” Not at all. Rather, I absolutely loved seeing how creative these marketers and businesses were. I loved seeing novel takes on old strategies and brand new takes on strategies I’d never seen before. Each one of them found a way to be creative and new – appealing to their website traffic just that little bit differently and making all the difference. 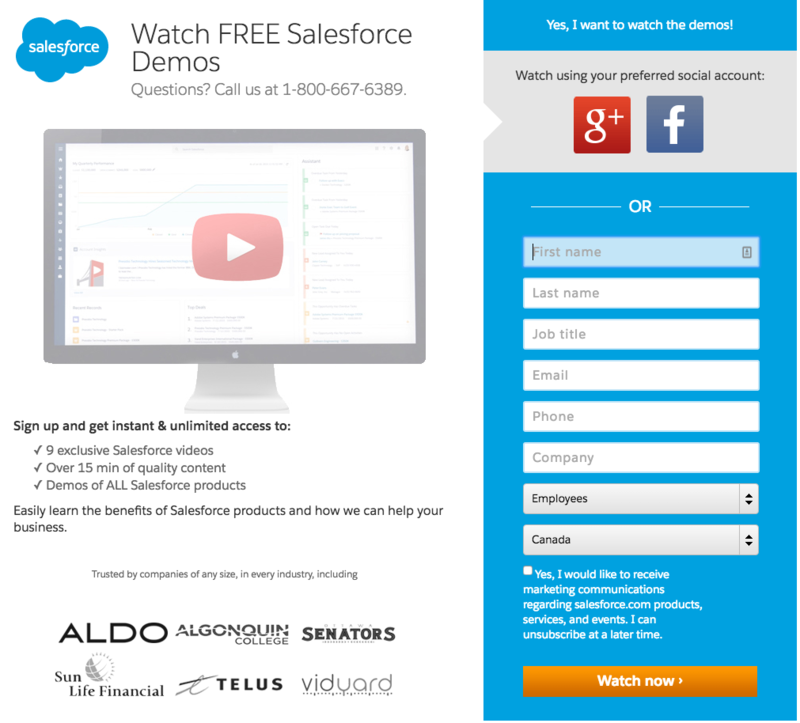 There are 327 distinct lead generation screen captures here from 75 different brands. These lead generation strategies come from marketers from different industries and with different target markets. I believe there is enough here to inspire any business to lead generation success. I know I’ve learned a few things and have a few to A/B test in our next sprint. If you found value in this resource please share it with your friends, colleagues and anyone you think will find it useful.